Stock will be shipping to Amazon.co.uk soon. If you wish to use Amazon, please go ahead and place orders as per normal. Neuro-Linguistic Programming – commonly known as NLP – is a method of communication and engagement used widely in the world of business, sport, and personal-development training. 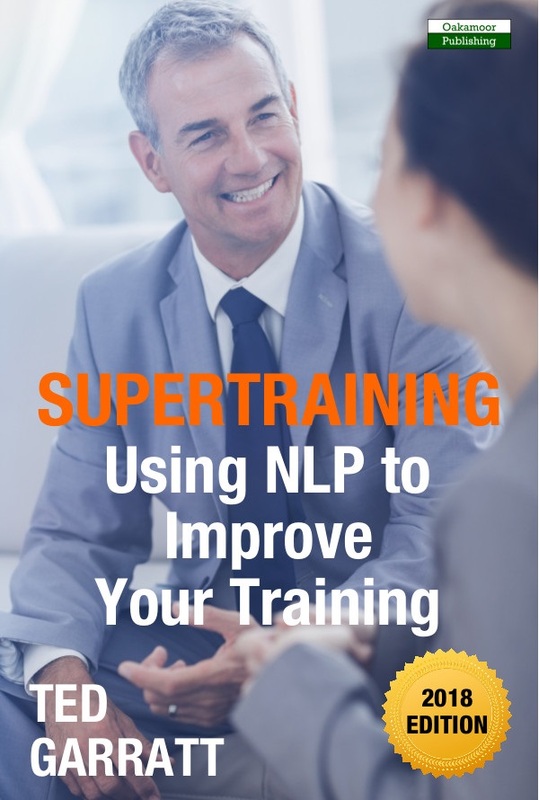 In SuperTraining, join one of the UK’s leading trainers – Ted Garratt – as he covers more than 60 NLP techniques and approaches, including: Anchors, Reframing, Creating Rapport, Sleight of Mouth, Non-Verbal Communication, Future Pacing, Matching, and more. This book will help trainers to engage with, and develop, their participants better than ever before. Designed to be a dip-in practical resource, rather than read cover to cover, this book will aid trainers and readers who have a rudimentary understanding of NLP, but it will also benefit complete novices who want to learn about NLP and how it can help them; instructions for implementing the various techniques, alongside case studies and key points, are all included. This is a revisited edition of the original book – The Effective Delivery of Training Using N.L.P. : A Handbook of Tools, Techniques and Practical Exercises. Book Categories: Business, Self-Help and Ted Garratt.